SleepWell: Resources to help you sleep like a Saint! Always feeling tired does not have to be normal. Feeling anxious and distractible does not have to be constants. You CAN sleep well. SleepWell is the College of St. Scholastica's sleep initiative. The SleepWell page will help to inform you of the impact sleep has on your body, answer some of your sleep questions, and allow you to interact with useful resources. You can start by taking the College Sleep Questionnaire which will give you personalized feedback about your sleep and how to make it better! Why does good SLEEP matter? National Sleep Foundation A non-profit organization dedicated to sleep. The website provides information on a variety of topics related to sleep. Drowsy Driving Awareness: Know more about how dangerous this is-- and how to detect and prevent it! Am I sleep deprived? Could I have a sleep disorder? Want to talk to someone on campus about sleep?Contact Health Services at css.edu/healthservices or reach out to Julie Zaruba-Fountaine jzarubafounta@css.edu . If you're experiencing excessive sleepiness, poor sleep habits are often the cause. It's important to review your routines, schedules, and the environment you're sleeping in so you can spot potential problems and make adjustments. For more information, check out the National Institutes of Health page on the importance of sleep. Most college students need between 8 and 9 hours of sleep enough to feel fully rested. It may sound weird but if you need an alarm clock to wake up, this is a sign that you're not getting enough sleep. For more information, check out the National Institutes of Health page on the importance of sleep. 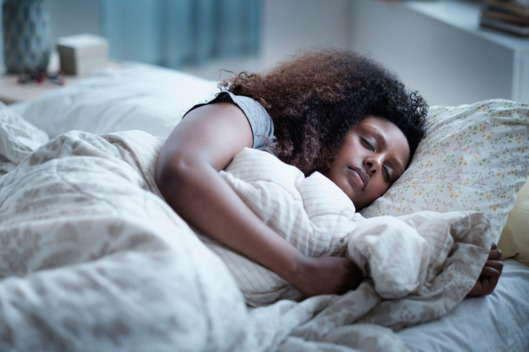 Sleep Disordered Breathing includes conditions like severe snoring and sleep apnea, in which a person gasps or struggles to breathe during sleep. For more information, check out the American Academy of Sleep Medicine's section on Sleep Disordered Breathing. If you are diagnosed with apnea and you have questions, please contact Student Health Services if you are a Duluth based student, and if you are on an extended site, contact your primary care physician. Narcolepsy is a chronic sleep disorder characterized by overwhelming daytime sleepiness and irregular sleep/wake transitions. For more information, check out AASM page on narcolepsy. If you are diagnosed with narcolepsy and you have questions, please contact Student Health Services if you are a Duluth based student, and if you are on an extended site, please contact your primary care physician. If diagnosed with restless legs syndrome and you have questions, please contact Student Health Services if you are a Duluth based student, and if you are on an extended site, contact your primary care physician. Going to bed and waking up at approximately the same time (within an hour) every night, even on the weekends, helps you go to sleep faster, stay asleep through the night, and wake up feeling more refreshed. Many students have reported improvements in their sleep quality and schedule after using sleep-tracking apps like SleepBot, a free tool with a "smart" alarm clock that wakes you up when you are in light sleep. If diagnosed with Delayed Phase Sleep Disorder and you have questions, please contact Student Health Services if you are a Duluth based student, and if you are on an extended site, contact your primary care physician. Stress and sleep deprivation go hand in hand. Learning how to manage stress in a healthy way can translate into peace of mind and thus, better sleep. Regular exercise, meditation, or other relaxation strategies help you feel more relaxed and get better sleep. Some students have found apps like Headspace and 25 soothing calming sounds helpful. Please check out the website or contact the folks in Well U for strategies for managing your stress. Duluth-based students can also contact the Counseling Office for help with stress management. Sleep and emotional health are tightly coupled. Poor moods can disrupt sleep, and insufficient and non-restorative sleep can lead to feelings of depression, irritability, and anxiety. Some students have found meditation and relaxation apps helpful when they are feeling too wound up to sleep. The free Stop Breathe & Think app offers quick guided meditations. Also, check out www.css.edu/wellu for additional online and on campus resources. If you are a Duluth-based student, you might want to connect with the Counseling Center as well. Your time is your most valuable resource. Prioritizing commitments and creating a schedule can improve your ability to manage your time. Some students have found apps like the free Time Logger App to be helpful. Most prescription, over the counter, and recreational drugs can disrupt sleep. Therefore, the dose and timing of these drugs is very important for getting good sleep. Caffeine, even 8 hours before bedtime, can linger in your system and interfere with your ability to fall and stay asleep. If you are prone to anxiety or sleep problems, using caffeine can make these worse. Alcohol interferes with REM sleep, a stage that is critical for memory consolidation, for up to two nights following drinking. Marijuana changes the way your brain functions during sleep and can lead to feelings of intense sleepiness and 'sleep drunkenness' upon awakening. Prescription medications can cause drowsiness or problems falling asleep. If you have concerns about prescription medication you are taking, please discuss this with a healthcare provider. A good sleep environment can make a huge difference in your sleep quality. Keep your sleeping environment as dark as possible. Light from windows and electronics interferes with your brain's ability to fall and stay asleep. Do a 'digital detox' at least a half an hour before bed. Power down your phone, computer, and other electronics to help you transition to sleep. You might also find these apps helpful. The free White Noise app for iOS creates soothing sounds for sleep and relaxation. The Night Shift update on iPhone and Twilight for Android allows you to block blue light during a scheduled time at night.